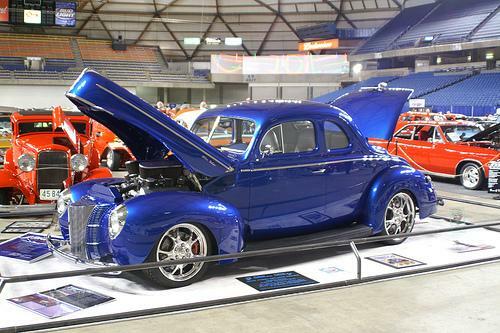 2014 Portland Roadster Show Rose Cup Grand Sweepstakes Winner!! This vehicle was started back in 2001 and developed into a shop project. It has numerous body modifications and is completely detailed from top to bottom, front to rear. click here to enjoy some of the build photos. Al Strong's 1936 Chevrolet trunk back sedan. We are doing most of the exterior sheet metal work, body fit and paint. Plans are for Chip Foose's Impression pewter paint color. He has 18" and 17" Budnik wheels and is sitting on a complete Art Morrison air-ride chassis. All of the fabrication work inside and under the hood was performed by the owner. Click here to see some of the build photos. 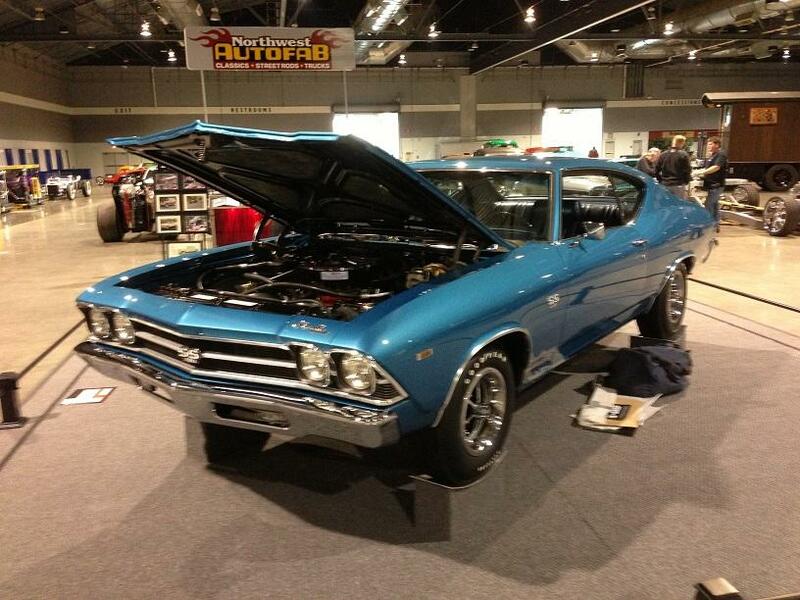 A 1969 Chevelle SS396 4-speed car with air/power disc brakes. This car has been sitting in the desert in California for 40 years. It is a one owner vehicle with only 36,000 original miles. 1932-ford-roadster My personal 1932 Ford roadster. Built in traditional styling. Features laid back windshield, 350/350, 8" ford rearend. Detailed chassis and much more. Click here to view more photos. 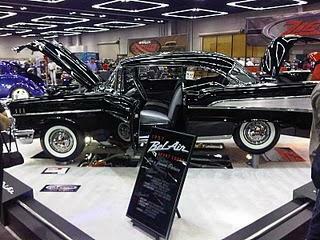 Jim Patrice's 1957 Chevrolet Bel Air hardtop. This car was built in conjuction with Lonnie Gilbertson who served as the project manager along with performing all of the mechanical, chassis, wiring and detail assembly. We handled all of the basic restoration chores. Metal, body, paint and hard assembly including all of the brightwork. This is a concours' level restoration right down to the last bolt being correct and in the proper location. Jim's '57 qualified for the Houson ISCA finale after he swept the west in the restored sweepstakes category winning every show that he entered. He finish 4th overall in the nation at the Houston show. 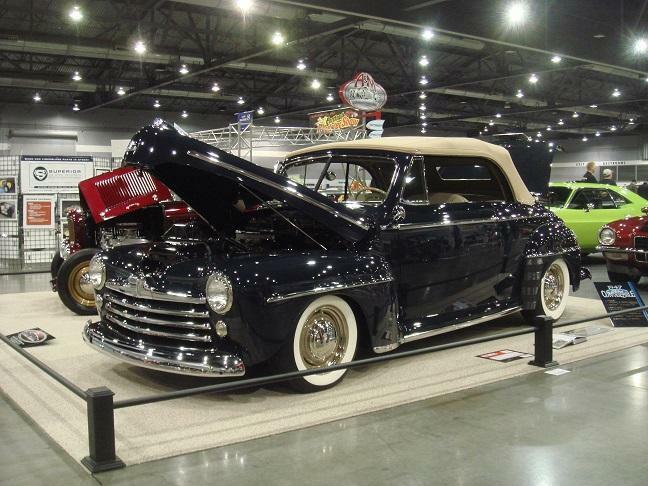 He has also taken top honors at the Northwest tri-five chevy show up north. Click on image to view more photos. "Eleanor" . Basic features include a 540 HP 427 Cobra engine, Tremec TKO 5 speed, Dutchman 9", Fully independent coil over suspension up front with 4-link at rear. Extremely high level of detail. 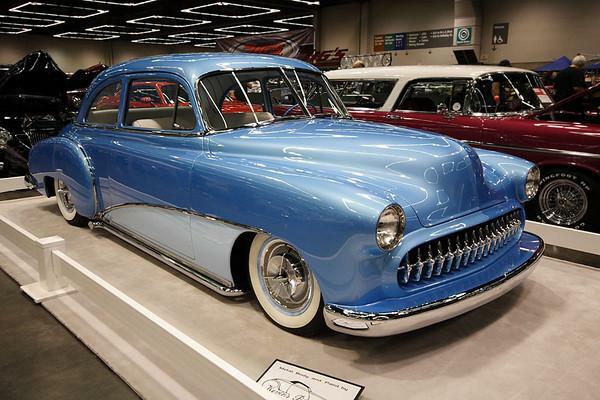 Rick May's 1950 Chevrolet sedan. Click on image to view more photos. Gene Ray's "Mayflower" 1952 Plymouth Suburban wagon. This is the car that really put us on the map. 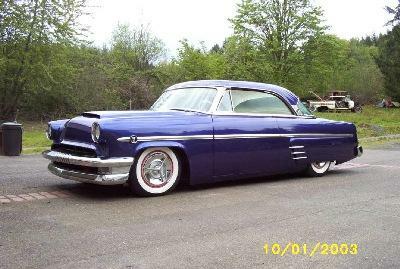 We did all of the finish metalwork, body, paint and final assembly on this car with help from the owner on the assembly. It debuted at the 1999 Sacramento Autorama where it won the Joe Bailon "Candy Apple" award, as well as first in class, and best paint in the customs. It was also in the running for America's most beautiful Custom. 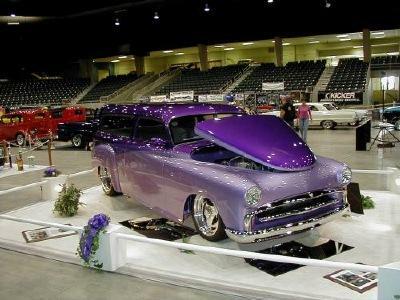 In February of 1999 it was shown at the 50th Grand National Roadster show where it won first in its class. Next on the stop was Goodguy's all-American get together in Pleasanton, CA were it was a finalist for the Custom de'elegance award. It then headed east to Des Moines, Iowa where it was crowned the 1999 Goodguys Custom Rod of the year. 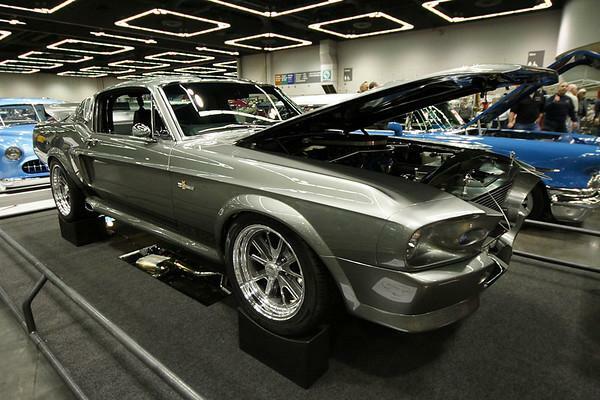 Other top awards include the Silver crown at the 2000 Portland Rod and Custom Show, King of Customs at the Portland Roadster show and entrance into the Portland Roadster Show hall of fame. Click on image to view more photos! 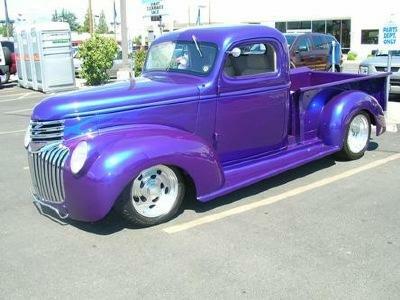 "BLURPLE" My own personal truck that really launched Kevins Restoration. Features a 3" top chop, Custom 3 piece hood design. Mercedes e-class headlamps. Smooth running boards. Smoothed and moulded rear. 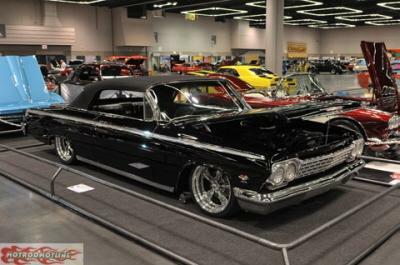 Achievements include a Street Rodder top ten at Goodguys Puyallup '97. Classic trucks Top 5 at Goodguys Pleasanton '99 along with a full feature in the October '99 issue. Many best paint awards and Goodguys awards. Two time winner of the Top truck award at the Chevrolet truckin' Jamboree in Salem, OR. 2000 Best Truck award at the Portland Rod and Custom Show. 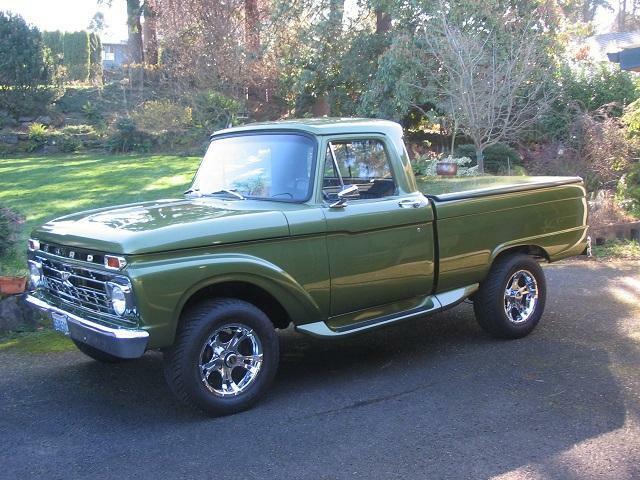 I sold this truck in the summer of 2001, and in 2007 was resold at the Barrett Jackson auction. Click on image to view more photos! Jerry Melton's Cullpepper truck. 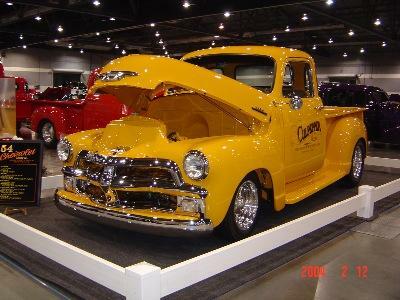 A 1954 Chevrolet pickup. Highly detailed. LT1 engine All seams filled at box. Body mostly stock. Many upper end awards!!! Click on image to view more photos. 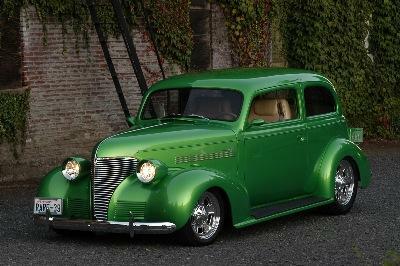 "MEAN GREEN" Bob Comeau's 1939 Chevrolet flatback sedan. Very Rare!!! Chevrolet only built 160 flatbacks in 1939 of which only a few are known to be left in existence. Custom touches include late style door handles, frenched headlamps, one piece door glass,hidden hinges,shaved driprails, custom center console and dash, third brake light, smoothed rear panel. Flawless gaps and finish. Featured in American Rodder magazine. Many top awards. Click on image to view more photos. 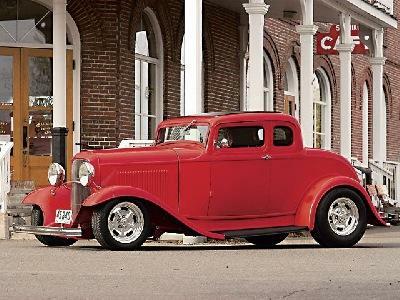 Jim Stewarts 1934 Ford in traditional fasion with impecable detail!! My son's bus. Custom one of a kind split window conversion on a type 2 bay bus. PURE ENVY!! A beautiful 1941 Chevrolet owned by Bill and Linday Minard. Mild Body modifications and painted the color "Money" I won first in class, Outstanding Paint, outstading engine, and display at the Portland Roadster Show. 1974 VW Type 2 Riviera owned by John Sexson. Shan and Beth Crites 1940 Chevrolet. Chopped and Sectioned with a multitude of body modifications painted in deep candy red formulated from "Rampage"